Thanks for stopping by to read the latest Amadeus and industry news! If you want to know more about Amadeus solutions, please fill out the form below and an Amadeus representative will contact you. The information you are submitting here will be processed by Amadeus to send you commercial communications. The processing is based on your consent, so you can revoke it anytime. We may combine personal information collected from your navigation with the information provided by you through different channels to Amadeus. 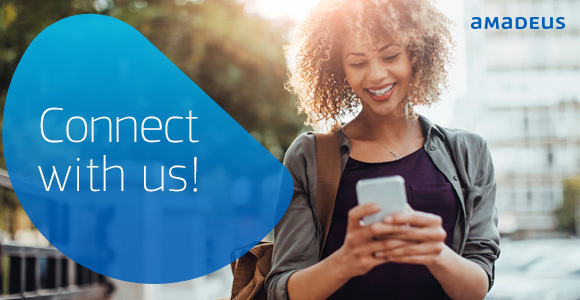 We will use this combined information to provide you with a targeted experience and the information you may need to understand Amadeus products and services. Before submitting the form, please click here to read how we process your personal information. If you are having trouble submitting your information online, please contact us at salesinquiries@amadeus.com.